Is it summer yet? Triathlete Magazine's swimsuit issue says 'yes'! 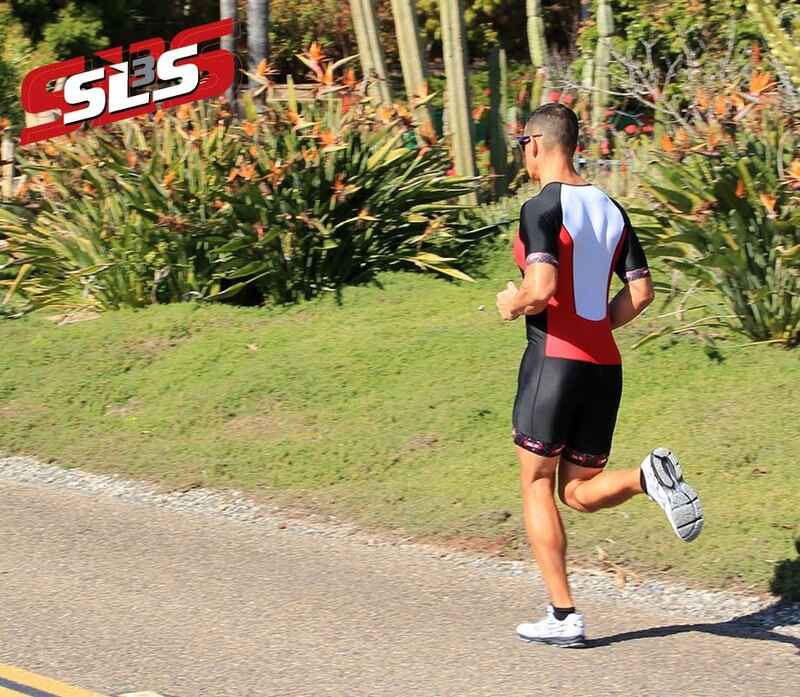 Read Steve Larsen's latest review of SLS3 products. As always, the first weekend in May is dedicated to Wildflower, the Woodstock of triathlon festivals. SLS3 was present to support our athletes. Jordan Rapp placed 4th, Benjamin Hoffman was 9th, both showing promising form in this still young season. Brian Lavelle, now sporting a full beard, had an unfortunate puncture on the bike after it had rained all day before the race. Ain-Alar Juhanson from Estonia took in the Half Ironman as preparation for Ironman Lanzarote in 3 weeks and finished 19th in the very competitive pro field. Speaking of Ironman Lanzarote, Bella Bayliss took in the Olympic Distance race last weekend and won. Bella, like Ain-Alar, will be racing the Ironman race there in a few weeks. Just one day after the Wildflower Half lots more triathletes had some fun climbing the legendary beast of St. Croix. Canadian pro Wolfgang Guembel had a great day and finished 9th, wife Nicole finished 12th in the pro women's field. Brazilian SLS3 athlete Marcus Ornellas was 13th. Full results. It was indeed a very busy race weekend all over the world. In Japan, the famous long distance race Strongman took place. Racing were Japanese married pro triathletes Hiro and Maki Nishiuchi, both sporting SLS3 compression socks. Hiro finished 4th in the pro men's division while wife Maki took 3rd on the podium in the women's pro field.